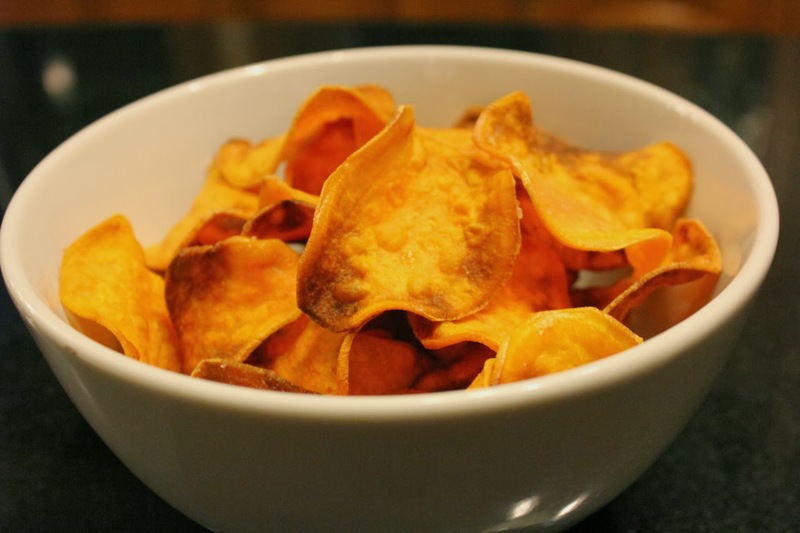 Sweet Potato Chips have become one of my favorite snacks and meal time additions. Claire and I are both sweet snacks people while Brian and Kenley are both salty snacks people. These sweet potato chips are a favorite with all four of us! They are a little time consuming but their flavor is totally worth it! Not to mention how much healthier they are for you compared to basically any and every chip that you can buy at the grocery store! They are also Paleo and Whole30 compliant! Yay!! 1. Peel Sweet potatoes, then using a mandolin, slice sweet potatoes on thinnest setting. 2. Place a cast iron pot over medium heat. 3. Add about 1/2 cup coconut oil to the pot. 4. Once oil is hot add a few sweet potato slices and cook turning often with tongs until just beginning to turn golden brown. 5. Remove cooked sweet potato chips from the oil and place on a paper bag to drain the excess oil. 7. Repeat until you have your desired amount of chips! Enjoy!